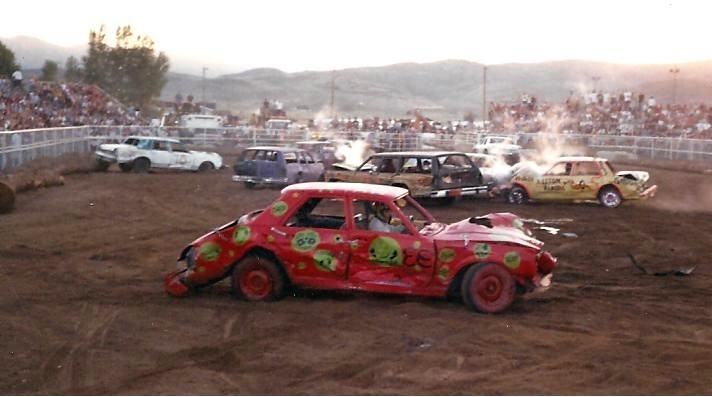 Heber Utah residents, Katy Sweat and Ryan Sweat of the Sweat Demo Derby Drivers team, celebrate national premiere of new reality TV show which features the Sweat Demolition Derby Drivers this Sunday at 8 pm. Premiere Party to be held in Orem, Utah. (Heber, UT. )— Today, Sonny Olsen, brother of Utah Mom and fearless demolition derby driver Katy Sweat, is pleased to announce a celebration in honor of his family members, Ryan and Katy Olsen Sweat, demolition derby racers with Sweat Demo Derby Drivers team, and their premier on the new KINGS OF CRASH Reality TV show Sunday from 8 pm-9 pm on Mountain Time on Direct TV 281 or Dish Network 364 or Comcast 663. The celebration event to watch the show will be held February 10th at 7:30 pm in Orem. Everyone who would like to watch the show on the big screen is invited to come and meet Katy and Ryan Sweat and their family. The Sweat Demo Derby Drivers are looking forward to the Sunday’s premiere of the new reality TV show on Direct TV 281 or Dish Network 364 or Comcast 663 which features the Sweat Demo Derby Drivers team. Katy and Ryan Sweat have just returned from a media tour in Los Angeles where they were interviewed about their reality roles in the new KINGS OF CRASH TV show on Discovery’s Velocity Channel. Hosted by Sonny Olsen and family at 5132 North, 300 West Building in Orem. 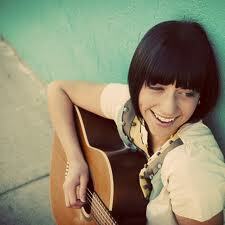 Join a girl and her guitar . 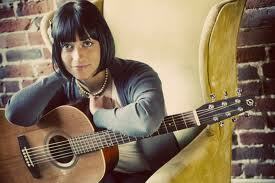 . . Bianca Merkley sings today on the TalkWorthy Radio Show! Today on the TalkWorthy Radio Show talk with those who know something you may not about . 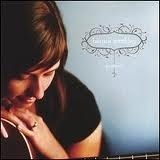 . . a girl and her voice and a guitar. 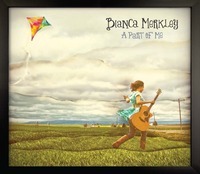 Join Host Kim Power Stilson as she talks with Bianca Merkley, featured on OurStage.com and MTV as a “Needle In The Haystack” artist of the week, and finalist in the Lilith Fair Song Contest, about her new album “A Part of Me” and, her 2012 tour. Listen to hear the story of how Bianca chose to forgo a car on her 16th birthday to get a shiny new Taylor guitar – a decision she will never regret. Now years later, with that same birthday gift Bianca has managed to write songs and perform her music in front of thousands- using songwriting and performing as a way to connect with listeners from all walks of life. Tune in or log on to hear the girl and her guitar sing on the TalkWorthy Radio Show Friday, April 13th at 4 pm EST/ 2 pm Mountain Time on SiriusXM 143 BYU Radio! Catch the TalkWorthy show repeats on Saturdays at 10 am Eastern and Mondays at 6 pm Eastern on SiriusXM 143 and BYURadio.org. Get your show information on www.talkworthyradio.com. 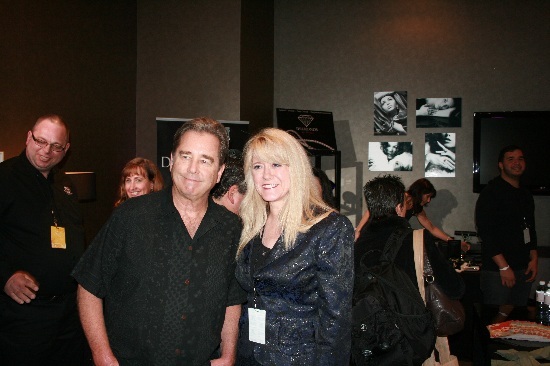 Kim Power Stilson meets Beau Bridges at last year's Oscar event! From Hollywood to Calgary, Brad Stewart is joining the GOFoods Foundation to give away GOFoods Global meals in 100 cities in honor of the GOFoods Foundation mission to feed and prosper American families. GO Tour 2012 has the goal to donate X number of meals and feed and prosper X number families. Week Two of GO Tour 2012 in SALT LAKE CITY, April 2012 — Today, Brad Stewart, founder of the GOFoods Foundation and GOFoods Global, the nation’s category creator in premium-quality food reserves and shelf-life nutrition, kicks off the GOFoods Foundation mission to feed and prosper American families with the foundation’s 100-city GO Tour 2012 event. Starting with the announcement to celebrities at a Hollywood fundraising event, interest in the GOFoods mission to feed and fund American families has escalated to such a point that the company is dedicating the entire year to take its story across North America and reaching every family that wants to participate in this great cause. Brad Stewart talks with families about GO Foods while out on the road trip that will cover 100 American cities in 100 days! Families interested in sharing the GOFoods mission of feeding and prospering American families can join a GO Tour 2012 event their local city or surrounding area. Event benefits include a complimentary GO Tour sample pack just for attending ($62 retail value); new customers who join the company’s wholesale program will have their membership waived ($30 value); complimentary 1-week GOFoods food supply with the purchase of special GO Tour product packs, along with free shipping on any product orders. Food is a product that everyone needs, and GOFoods healthy easy-to-prepare meals complete a variety of lifestyles—busy college students needing a faster nutritious meal, mothers looking for a quick dinner option that doesn’t involve fast food, families wanting to purchase long-term storable reserves for the future. GOFoods allows everyone to take control of their future and feed their freedom, physically and financially. "Great people across the U.S. are pleased to hear the GOFoods message and get free meals to serve, save and share with their families!" With GOFoods meals, families everywhere within the United States and Canada are learning how the GoFoods meals can help save them time and money, especially in today’s difficult economy. GOFoods healthy easy-to-prepare meals complete a variety of lifestyles—busy college students needing a faster nutritious meal, mothers looking for a quick dinner option that doesn’t involve fast food, families wanting to purchase long-term storable reserves for the future. GOFoods allows everyone to take control of their future and feed their freedom, physically and financially. 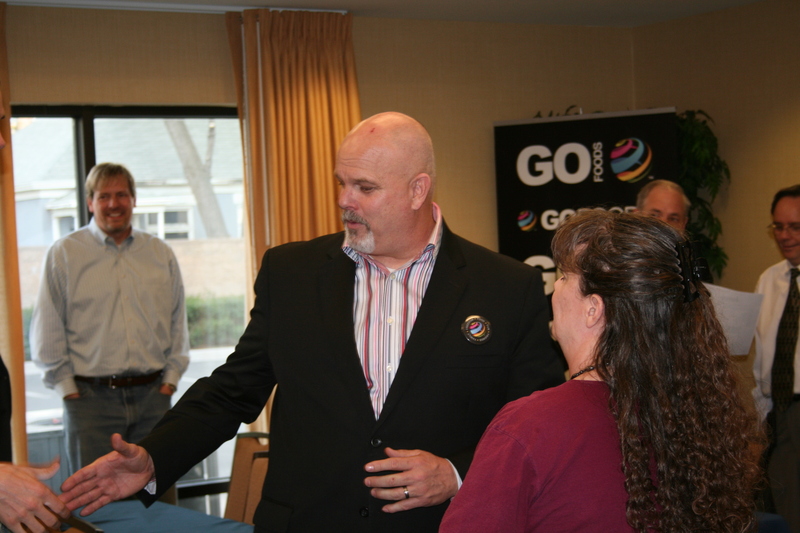 Brad Stewart shares the GO Tour 2012 message about feeding and prospering American families! GO Tour 2012 operates across the entire year in four phases. Phase 1 begins in 17 western cities across North America and sets the foundation for the entire tour. As participation in the tour grows, phase 2 will be a revisit to the same cities with added cities in the Midwest. Phases 3 and 4 include visits to the central and eastern regions of Canada and the United States in addition to the company’s GO Cruise summer incentive trip in the Caribbean. More details and updated tour schedules can be found at http://www.gotour2012.com throughout the year. GOFoods’ mission is to feed and prosper the world by serving, saving and sharing relevant, easy-to-prepare meals and beverages for on-the-go-lifestyles that encourage people to eat nutritiously and spend time together, while enjoying natural mouth-watering meals that taste as good today as they will in 25 years. Founded by nationally known food-reserve experts Steve Shenk and Barbara Rossberg with over thirty years of experience, the Utah-based company’s goal is to change the way people look at quick-fix, extended shelf-life, and daily use food in the twenty-first century. GOFoods Global, which received an overwhelming response from celebrities at its launch at a fundraising event Oscar weekend in Hollywood, is feeding and prospering American families with the launch of GO Tour 2012, reaching 100 cities throughout the entire year. In the first of four phases, Company President Brad Stewart is kicking off the tour by taking GoFoods meals and family education to 17 North American western cities from Jackson Hole, Wyoming, to Calgary, Canada. 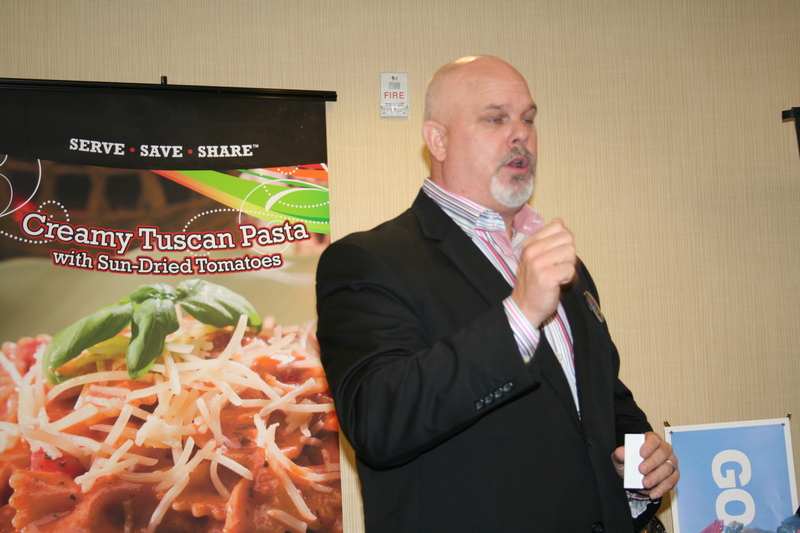 Today, Brad Stewart, President of GOFoods Global, the nation’s category creator in premium-quality food reserves and shelf-life nutrition, kicks off the GOFoods mission to feed and prosper American families one city at a time with the company’s 100-city GO Tour 2012 event. Originating with an announcement to Hollywood celebrities at an Oscars fundraising event in Hollywood, interest in the GOFoods mission to feed and fund American families has escalated to such a point that the company is dedicating the entire year to take its story across North America and reaching every family that wants to participate in this great cause. Families interested in sharing the GOFoods mission of feeding and prospering American families can join a GO Tour 2012 event their local city or surrounding area. Event benefits include a complimentary GO Tour sample pack just for attending ($62 retail value); new customers who join the company’s wholesale program will have their membership waived ($30 value); complimentary 1-week GOFoods food supply with the purchase of special GO Tour product packs, along with free shipping on any product orders. The company will also provide complimentary training for those who want to know more about the health and preparedness benefits of GOFoods and how to help their families prosper. The end of each meeting will also include training on GO Party, the company’s new direct sales model that brings families and friends together in a fun and relaxing atmosphere while providing rewards on every level of party participation. With GOFoods meals, families everywhere within the United States and Canada are learning how the GoFoods meals can help save them time and money, especially in today’s difficult economy. Although women typically comprise the majority of direct sales opportunities, men have also seized the GOFoods opportunity as a way to improve their quality of life and better manage their family and work commitments. Food is a product that everyone needs, and GOFoods healthy easy-to-prepare meals complete a variety of lifestyles—busy college students needing a faster nutritious meal, mothers looking for a quick dinner option that doesn’t involve fast food, families wanting to purchase long-term storable reserves for the future. GOFoods allows everyone to take control of their future and feed their freedom, physically and financially. The first phase of GO Tour 2012 started in Jackson Hole, Wyoming. Check the company’s website at http://www.GOTour2012.com to find event locations and join GOFoods President Brad Stewart and the GO Tour 2012 team. Phase 1 events are scheduled in the following cities: Jackson Hole, WY; Pocatello, ID; Logan, UT; Ogden, UT; Salt Lake City, UT; St. George, UT; Provo, UT; Las Vegas, NV; Tucson, AZ; Tempe, AZ; Arlington, TX; Los Angeles, CA; Irvine, CA; San Diego, CA; Calgary, Canada; Orlando, FL; and Atlanta, GA. This week on the TalkWorthy Radio Show talk with those who know something you may not about . 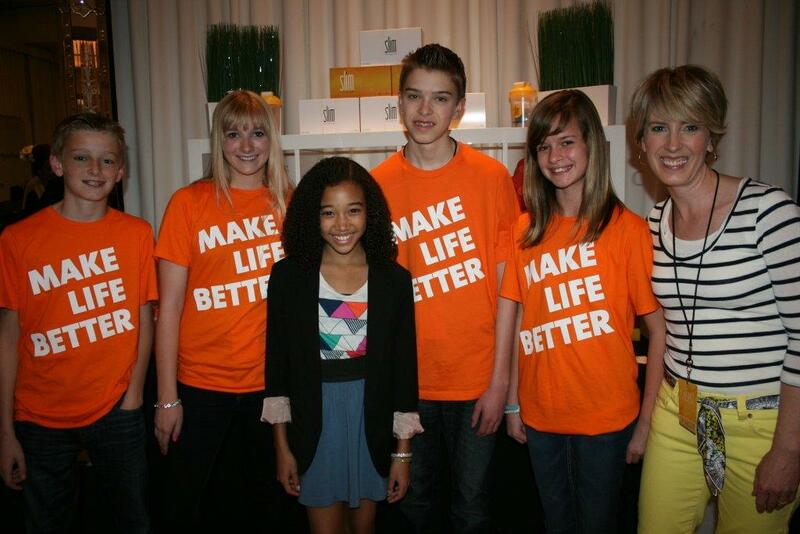 . . the Make Life Better Foundation. Join TalkWorthy Host Kim Power Stilson as she talks with Brent Morrill and Kristen Montgomery from Unicity International’s Make Life Better Foundation about their mission to spread need-based hope and health around the world. 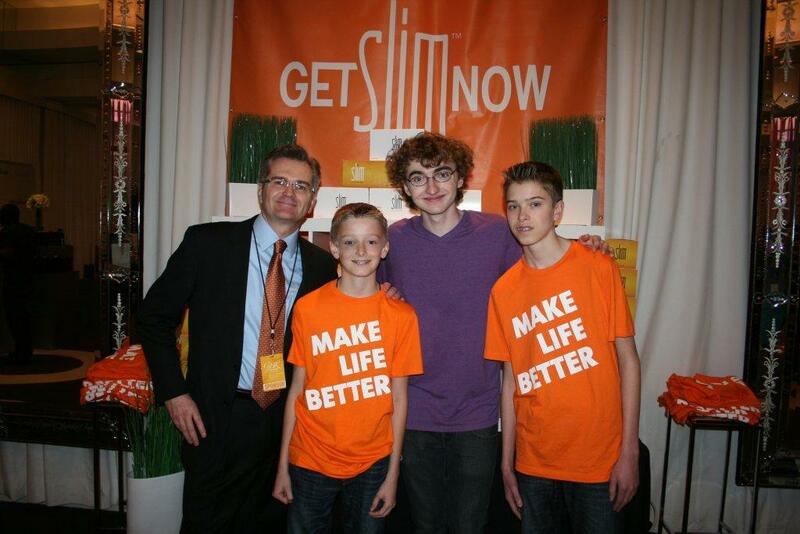 Listen as they share first-hand insight to the reaction of teen celebrities and their families when they introduced the Make Life Better Foundation to Kid’s Choice Awards winners and nominees at a fund raising event for the American Cancer Society in Hollywood just last week. Tune in or log on to Make Life Better on the TalkWorthy Radio Show Friday, April 6th at 4 pm EST/ 2 pm Mountain Time on SiriusXM 143 BYU Radio! Catch the TalkWorthy show repeats on Saturdays at 10 am Eastern and Mondays at 6 pm Eastern on SiriusXM 143 and BYURadio.org. Get your show information on www.talkworthyradio.com. 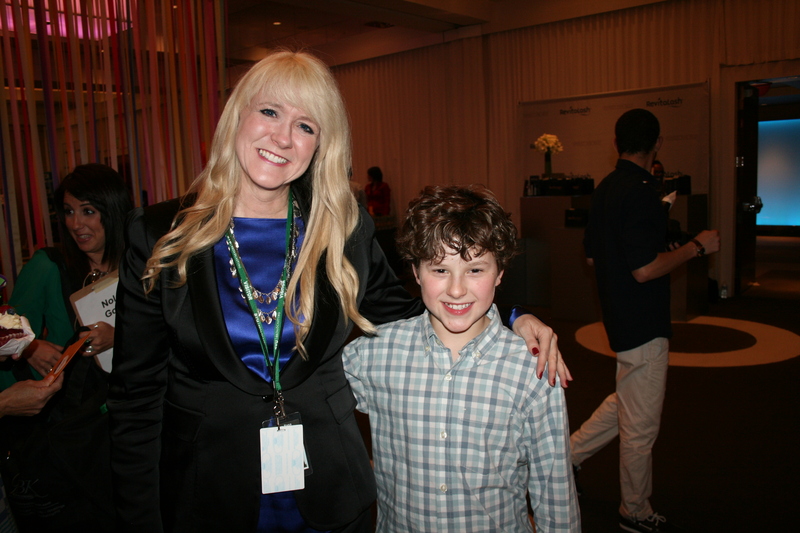 TalkWorthy host Kim Power Stilson with Nolan Gould of Modern Family at the Kids Choice Awards Birthday Bash for the American Cancer Society. 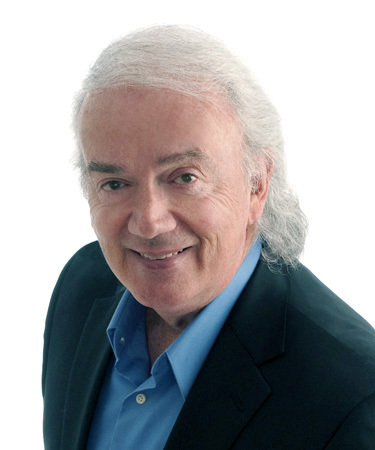 I read this article written by Steve Shenk, food expert, a few months back . . . I thought it was an interesting and helpful read . . . He is a brilliant writer with experience we can trust. Here is his article, re-posted with permission, of course. Let that sink in for a moment—“beef trimmings treated with ammonia.” That can’t be right can it? What does that actually mean? The beef trimmings referred to here are what is left over once all the cuts of beef have been removed from the cow. (These trimmings were once deemed unfit for human consumption and used for dog food). The trimmings are spun in a centrifuge to separate the “meat” from the fat and then the meat is treated with ammonium hydroxide in an attempt to kill all the harmful forms of bacteria present. You may have heard people refer to this “meat” as pink slime, a term coined by the British chef Jamie Oliver. Pink Slime is a name as appetizing as the process it went through to get on your table. Now, look at McDonald’s statement again. Does anything else standout to you? What about “[w]e were among other food retailers…”? In October 2011 it was reported that 68 people in 10 states were sickened by an outbreak of salmonella toed to a “Mexican-style fast food restaurant chain”. It was later determined that the chain was Taco Bell. Burger King also came out with a statement similar to the McDonald’s announcement. From this statement, one can safely assume that the use of pink slime is a widely accepted practice in the fast-food industry. It is estimated that 70% of fast-food hamburger could have included pink slime. Think back over the last year. How often have you eaten at a fast-food restaurant? Do you go out regularly with your co-workers for lunch? Do you stop by on the way home because you’re too tired to cook dinner? Or do you take the kids there for a reward or a family night out? The “why” isn’t as important as is knowing how many times you may have been fed pink slime. How do you feel about a trip through the drive-thru now? It is also interesting that pink slime is referred to as a “safe product.” It makes you wonder what other “safe products” they are feeding us. if it’s truly safe, why did McDonald’s and Burger King both come out with statements that they were no longer using the pink slime products AFTER the contamination at Taco Bell was revealed? 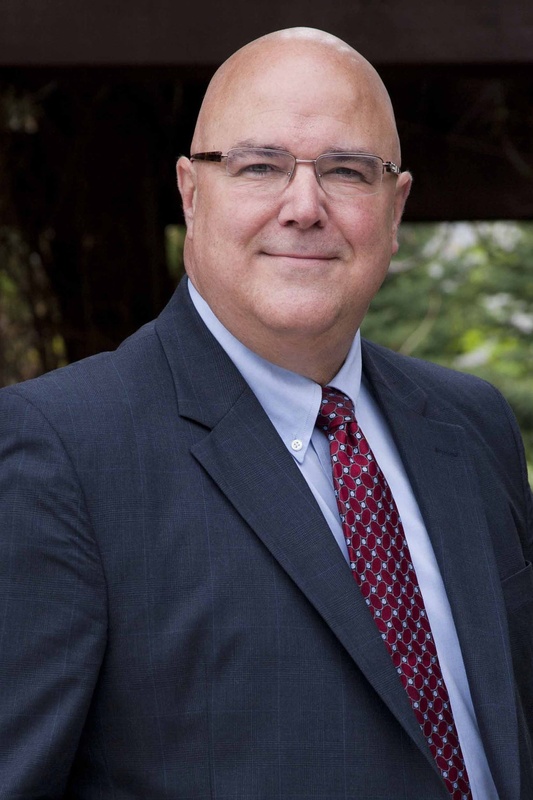 The USDA has approved the use of ammoniated beef trimmings for human consumption. They argue that the beef’s ammonia treatment will kill any bacteria lingering in the beef. But, how much can we trust this process—or the government—when we hear of outbreaks of E. Coli and other harmful bacteria on a regular basis. So what can you do to protect you and your family? You’ve already taken the first step by beginning to educate yourself on where your food comes from and how it is made. Please continue to do so. With knowledge comes power and the ability to make informed decisions that ultimately lead to peace of mind. It is for this very reason that I am committed to providing you with this type of information on an ongoing basis. This is truly a frightening revelation that we here in the United States, as individuals and families, have to careful to protect ourselves from our own food. It is unfortunate indeed that agencies responsible for our protection can only be trusted to sell out our best interest to the economic pressures of special interest groups. If your personally held food supplies are dried or dehydrated, you are safe and can be fearless of these food-born contaminates. Very simply, these dangerous little critters can’t exist in a moisture-free environment. Remember, if you are apathetic and passive about your food choices, you leave not only your health but also your well-being in the hands of others. Stop playing “Russian roulette” with your future and take control. This Friday TalkWorthy Radio Show Hosted by Kim Power Stilson . 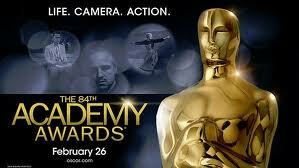 . . talk with those who know something you may not about the Oscars! Listen as the TalkWorthy Radio show is broadcast from a star studded GBK Productions Academy Awards kickoff event in Hollywood, California. 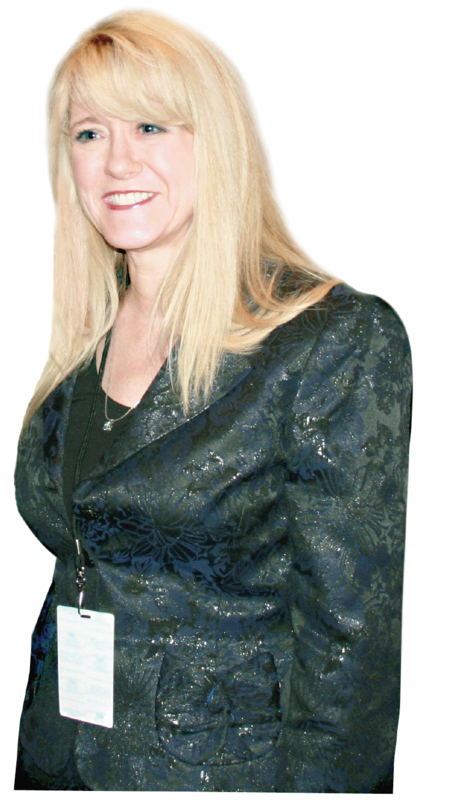 Join host Kim Power Stilson as she shares the glitz and glamor of Oscars weekend from the red carpet with listeners on the TalkWorthy Radio Show this Friday at 4 pm EST/ 1 pm Hollywood Time on SiriusXM 143 BYU Radio! Talk with those who know something you may not about topics ranging from Mayan Mysteries to Rugby on Kim Power Stilson’s new TalkWorthy Radio Show. 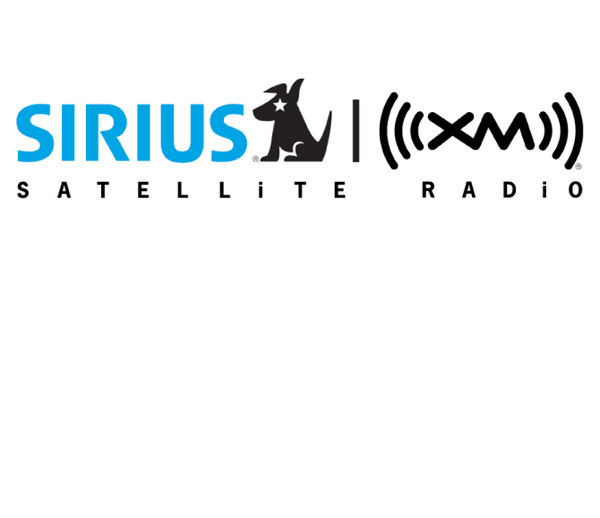 Listen live weekly on SiriusXM Channel 143 every Friday at 4 p.m. Eastern Time. Rebroadcasts available on Planetary Streams Talk Radio Network and Web Campus World Wide and Shoutcast.com. Listen to the Talk Worthy Radio Show! Talk with those who know something you may not! Join radio host, Power Mom, author, Kim Power Stilson, as she interviews guests on a variety of topics worth talking about! 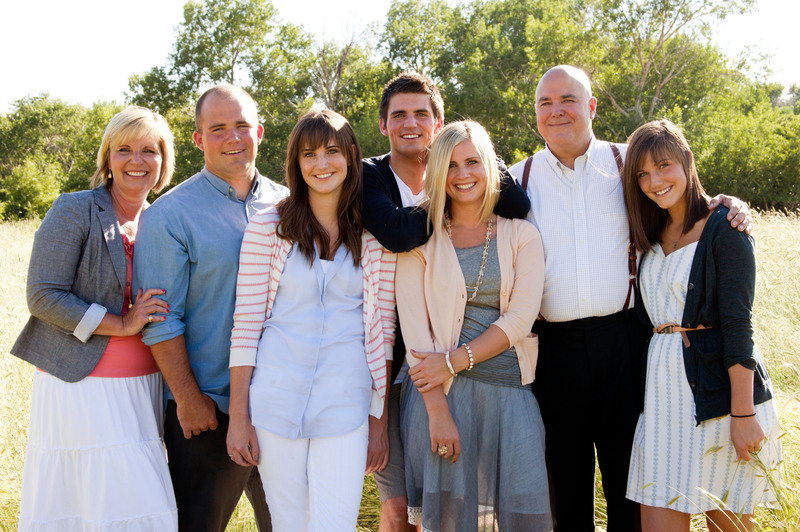 Listen every Friday at 4 pm Eastern and 2 pm Mountain on SiriusXM Channel 143 BYU Radio at http://www.byuradio.org. For more information about the TalkWorthy Radio Show please visit the TalkWorthy Radio Facebook site or http://www.talkworthyradio.com. The Green PolkaDot Box™ the clean and organic foods online membership savings club, which offers natural healthy food products for less, will share their mission with celebrities at an Oscar Celebration during the 84th Annual Academy Awards weekend in Hollywood, California. Hollywood, CA & Salt Lake City, UT – February 2011– The Green PolkaDot Box™ (GPDB) Clean and organic foods 0nline membership savings club founder, Rod A. Smith, today, announced the company will share their mission to make healthy products affordable, with the GBK Productions Luxury Oscars Celebrity Lounge at the 84th Annual Academy Awards celebration February 23rd to 26th at the W Hotel, in Hollywood, CA. The Green PolkaDot Box offers the lowest pricing on organic and all-natural foods and products, making healthy living affordable to everyone. With so many celebrities setting a precedent for buying green and organic, Smith considers the 84th Annual Academy Awards an appropriate venue to share The Green PolkaDot Box quest to educate consumers on the importance of using healthy and “clean” foods and products. The GPDB offers a growing number of over 15,000 products, available up to 60 percent off traditional retail prices. Shoppers will recognize many products from well-known companies like Eden Organics, Annie’s Home Grown, Bragg, Pangea Organics, Nutiva, Justin’s, Happy Baby, Bob’s Red Mill, and Blue Diamond. Sariah Smith, GPDB National Brand Manager, is also excited to introduce less well-known, but also wonderful product companies, like Ambrosial Granola, Better Life, La Yapa and others. Visit www.greenpolkadotbox.com to purchase your membership. In their quest to make organic products affordable, GPDB is cooperating with some of the nation’s leading consumer associations and Clean Food advocates, including: The Organic Consumers Association, the Hippocrates Health Institute, the Natural Solutions Foundation, Citizens for Health, the National Health and Wellness Club, Natural News, Mission Possible, and others. The GPDB also soon plans to launch the Learning Center of their website in hopes to further educate members about the benefits of living a healthy lifestyle. Green PolkaDot Box sends teams and healthy snacks to support fund raiser for youth athletics and to raise awareness forsports nutrition! The GPDB originated with Smith and his family as a result of their efforts to live healthier after being faced with a diet-related health issue. 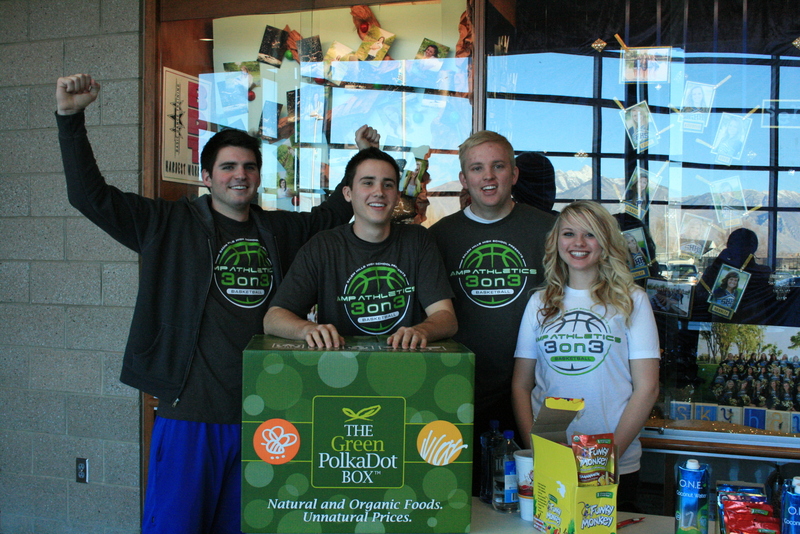 Their goal to find affordable, organic, and non-Genetically Modified Organism foods and products led to the formation of The Green PolkaDot Box. Recently launched, GPDB delivers affordable “clean” foods and products directly to the homes of their rapidly growing membership of over 12,000. Smith defines clean foods as certified organic foods of all varieties that are 3rd party-verified to be free of Genetically Modified Organisms. The lowest prices on clean foods are now available for members to purchase at www.greenpolkadotbox.com. 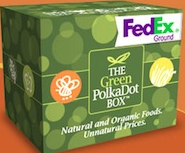 The Green PolkaDot Box™ is the clean and organic foods 0nline membership savings club which offers natural healthy food products for less and delivers directly to consumers’ doorsteps nationwide. 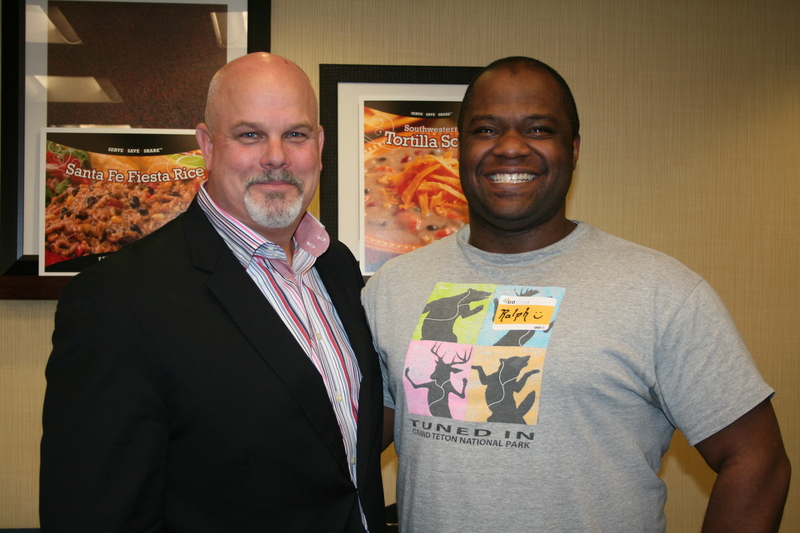 The Green PolkaDot Box (GPDB) was founded by Rod A. Smith and his family as a result of their efforts to eat healthier after being faced with a diet-related health issue. GPDB offers healthy “clean food” products defined by Smith as certified organic foods that are 3rd party-verified to be free of Genetically Modified Organisms. The GPDB annual membership programs include “club” and “reward” memberships, the latter enabling members to accumulate reward points which further lower their monthly grocery expenses. All memberships feature a FREE delivery option. GPDB members will also enjoy access to fresh harvested, organic produce delivered directly from organic farms through the upcoming GPDB Harvest to Home program, Spring 2012. Affordable organic and all-natural products are now available to every household in America! Learn more at www.greenpolkadotbox.com. The 84th Annual Academy Awards (informally known as the Oscars) is one of the most prominent award ceremonies in the world and is televised live from the Kodak Theatre to more than 52 million viewers in more than 200 countries annually. 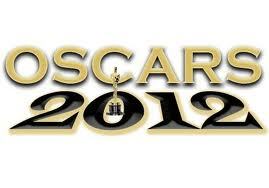 www.oscar.go.com. For media information, please contact: Kim Power Stilson at 801-358-3649 or kim@powerstrategies.TV. GBK Productions is well known for integrating the entertainment and non-profit industries to create unique and memorable high-profile national and international events that maximize its clients fundraising efforts. For more information please contact, Jolie Jankowitz at Jolie@gbkproductions.com and http://www.gbkproductions.com.